5月9日上午10：00－下午20：30 The morning of May 9th 10:00 20:30 p.m.
炎黄艺术馆处于北京奥运核心区，距鸟巢及水立方等奥运场馆仅800米。艺术馆整体占地面积28亩，建筑面积14000平方米，展厅面积3600平方米，内部设施先进、完备。艺术馆的建筑造型吸取了唐宋时期的建筑风格。是北京最具学术价值的专业展厅之一，展览品质高端，交通方便地处奥运商圈中心地带，北京最贵房地产聚集地。Yanhuang Art Museum in Beijing the Olympic core area, bird's nest and watercube fromOlympic venues such asthe only 800 meters. The whole Art Museum covers an area of 28 mu,building area of 14000 square meters, the exhibition area of 3600 square meters, advanced facilities, complete internal. Museum of art building model from theTang and Song Dynastiesarchitectural style. 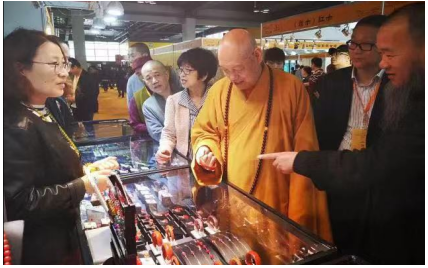 Beijing is one of the most valuable professional exhibition, exhibition of high-end quality, convenient shopping center located in the Olympic Games, Beijing'smost expensive real estate gathered. 炎黄艺术馆是以研究、展示、收藏为主的艺术机构，曾多次展览艺术大师的美术作品，举办过200多次国内外大型学术展览及交流活动并汇编成学术丛书。接待过众多国内外政要、著名艺术家在海内外享有较高声誉。曾举办过任伯年、吴昌硕、齐白石、黄宾虹、徐悲鸿等传统艺术大师的作品展。在此举办过展览的海外艺术家有列宾.尼古拉、普罗什金.弗拉基米尔等俄罗斯艺术家，包括：泰斯（荷兰）佐渡多真子（日本）Mathias Magg （德国）Eric Leleu（法国）Patrick Wack (法国) URVOY - FUKUHARA Isabelle（法国）李戈（哥伦比亚）老马( 斯洛文尼亚)等100多位艺海外艺术家。Yanhuang Art Museum is to research, exhibition, art institutions, has repeatedly exhibitionart master works of art, held more than 200 domestic and international academic exhibitions and exchange activities and compiledinto academic series. Received many dignitaries, famous artists enjoy high reputation at home and abroad. Hosted masters of traditional art of Ren Bonian, Wu Changshuo, Qi Baishi, Huang Binhong, Xu Beihong and other works exhibition. In this exhibition held overseas artists have Repin. Nicola, the general what gold. Vladimir,Russian artists, including: the Theis (Holland) sado more proper (Japan) and Mathias Magg(Germany) Eric Leleu (France) Patrick Wack (France) URVOY - FUKUHARA Isabelle (France) Li Ge(Columbia) old (Slovenia) more than 100 overseas artists, art. 申请：申请参展须提交参展申请表及参展作品计划, 填写完整并有负责人签章的申请表方视为有效申请。申请截止日期为2014年4月8日。Application: applyexhibitors must submit the application form and the work plan, completeand the Applicant Signature of responsible person of the table as a valid application. The application deadline is April 8, 2014. 审核：执行委员会和学术委员会共同负责所有参展申请的审核，是所有参展申请的最终的审核机构，拥有充分的权利，独立决定接受或拒绝任何申请。Review: the ExecutiveCommittee and the academiccommittee jointly responsible for all theapplication review, all applicants of the final audit institutions, has thefull right,independent decisionto accept or reject any application. 确认：执行委员会将向申请者发送电子邮件/传真《参展确认函》以确认参展资格并告知展位位置及付款信息。执行委员会收到申请者的全部参展费用后，于2014年4月20日前向其发送《展商手册》，告知有关参展事宜，参展商凭《展商手册》报到，办理有关布展、参展手续。Confirmation: theexecutive committee will be sent to the applicants email / fax "Exhibitor confirmationletter" to confirm the qualified exhibitors and inform the booth location and payment information. All exhibitors fee received the applicant's Executive Committee, in 2014 April 20 days tosend "ExhibitorManual", notify the relevant matters exhibitors,exhibitors by "Exhibitor" report, for the exhibition, exhibitors procedures.